Red roses are the best way to say "I love you". 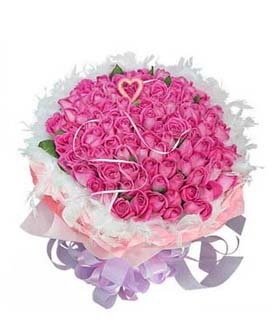 Pink roses for admiration and joy, yellow roses for happiness and friendship. White roses for purity and respect and orange roses to symbolize passion with their blazing colour and energy. 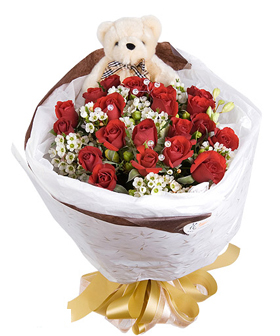 If you choose to add the deluxe package option for an additional US$5, we will include additional flowers for flowers bouquet and use more extravagant packaging for gift. Making a beautiful gift even more magnificent! The price includes the delivery fee in the city. 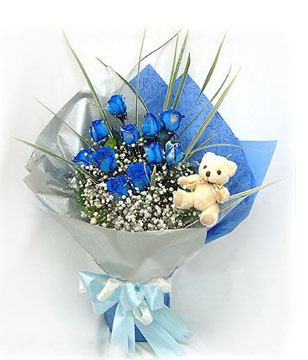 If the recipient isn't in a city, an additional US$5~20 will be needed for delivery. Your satisfaction is very important to us. 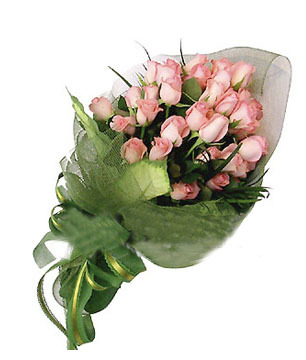 We guarantee the freshest flowers and outstanding service. If you are not satisfied with our service or we are unable to deliver your order to the recipient, we will return your full order- payment amount. Same day delivery in major cities (such as Beijing, Shanghai, Guangzhou, Shenzhen, Tianjin, Qingdao, Dalian, Hangzhou and more). If the recipient is in small city or town order ahead 1~2 days is required. In non-holiday you can order the delivery time. We can deliver to the recipient as quickly as in three hours. In holiday and festival we only can guarantee delivery in the day.